Spectacular 67m Megaycht by Icon with Sea Water Swimming Pool! charter the first-class Superyacht by Icon Yachts in summer in the Mediterranean Sea and in winter in the Caribbean! The yacht has 7 guest cabins for up to 12 guests on board and is equipped with every luxury and comfort you can imagine! The seawater pool with beach club is one of the highlights of the yacht! Fitness room, sauna, hamman, jacuzzi and many more awaits you on board! We will gladly send you detailed information about the yacht. 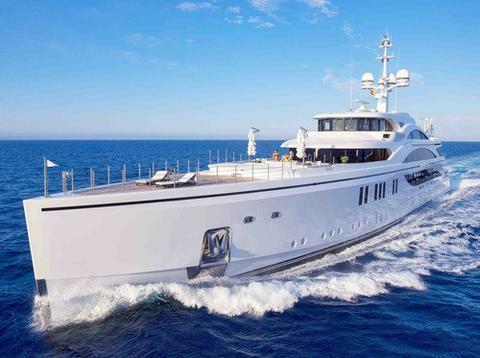 Boat data 67m Icon Superyacht!